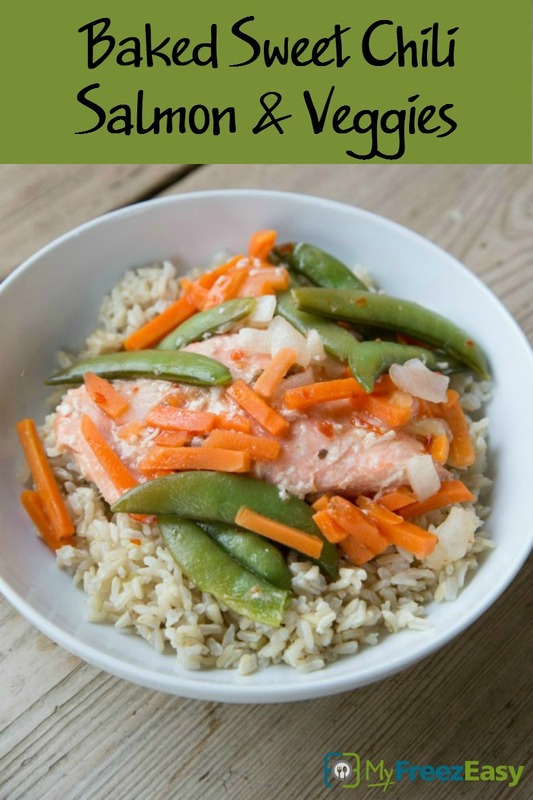 The sweet Thai chili sauce really makes this salmon amazing! Family approved! Cut the salmon fillet into 4 pieces. Place each salmon fillet on a piece of foil large enough to wrap around the salmon. To each piece of salmon, sprinkle the ground ginger and salt and pepper. Evenly divide the sweet Thai chili sauce and pour over the salmon. Divide the frozen veggies evenly among the packs. Wrap the foil up into packs and place on baking sheet. Bake in preheated oven for 20 to 25 minutes, or until salmon is cooked through. Cooking time may vary, depending on thickness of the salmon. Cook the eggrolls, as directed. 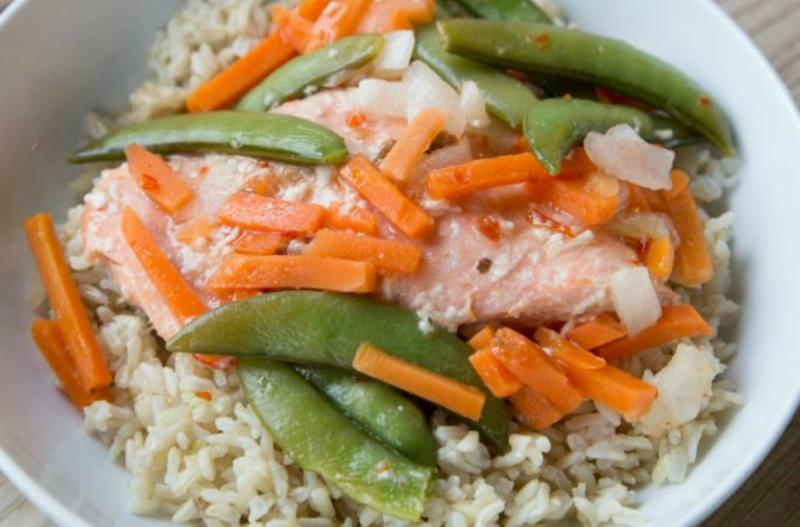 Serve Baked Sweet Chili Salmon & Veggies with rice and eggrolls. Set up 8 large pieces of foil. Wrap foil tightly around the salmon and veggies. Place foil packs into a gallon-size plastic freezer baggie. Add label to baggie and freeze. Put baggie in the freezer and freeze up to 6 months in fridge freezer or 12 months in a deep freezer. Thaw completely in the fridge before baking as directed. See https://myfreezeasy.com/how-to-cook-the-grill-foil-packs-if-you-dont-have-a-grill/ on more tips for freezer meal foil packs. Recipe is gluten-free when you use sides like rice and veggies. Thaw salmon and veggies completely before adding foil packs to a baking sheet and baking for 20 to 25 minutes, or until salmon is cooked through. Serve with rice and eggrolls.